"See how tech can lift and change the way you get growth," she said, encouraging the ANA 2015 audience to embrace working with startups. ORLANDO, FL: With startups disrupting marketing, traditional businesses must change their structures to maintain growth, Mondelez International CMO Dana Anderson said on Thursday. 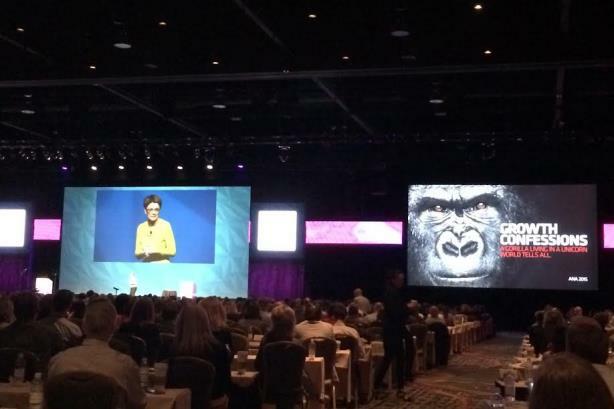 "The pressure for growth creates such anxiety because the new order is so provocative it makes us uncomfortable," she said, speaking at the ANA 2015 Masters of Marketing Conference in Orlando, Florida. Anderson noted that companies such as Airbnb, Facebook, and Uber are achieving amazing growth, but they remind her that large companies need to adapt to an ever-changing, innovative market. Mondelez needed to adjust its structure for a new growth strategy, she said. The CPG giant went from working in silos to creating 13 functions, such as marketing, corporate affairs, supply chain, and finance, which all work with Mondelez’s global executives, country leaders, and regional presidents. The company had to "come together and work as a unit," explained Anderson. She added that the supply-chain function thinks differently than marketing, so its staffers needed to learn to collaborate and build the right relationships. With the reorganization in place, Anderson said the groups agreed on five words as their code of conduct: together, transparent, relentless, brave, and grounded. The company also figured out its purpose, which is "working together to innovate and execute so that everyone can make an impact." Oreo’s global brand of "hyper collaborators" realized it could reduce its projects around the world from 130 to 80 since many were duplicates, said Anderson. And with the cost savings, Oreo reinvested in its creative team of agencies. Anderson also advised the 2,800 conference attendees to understand the power of working with startups. She said traditional brands should team up with them to change the way employees and customers perceive their company. "See how tech can lift and change the way you get growth," she said.